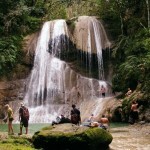 Rincón is fairly centrally located on the west coast of Puerto Rico, giving access to many wonderful places to visit. The following are some recommended day trips you can take — leave early in the morning and spend the whole day exploring. 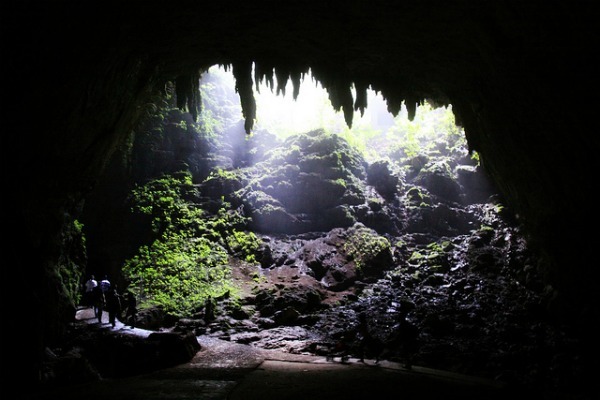 The Río Camuy Caves is one of the big tourist attractions in Puerto Rico. Get there early to make sure you get in — they give the tour to a limited number of people every day. After the tour, you can walk in the park along the trails and have lunch at the picnic table area. After lunch, drive to the Arecibo Observatory, home of the world’s largest radio telescope. Finally, spend the late afternoon and watch the sunset at the Arecibo Lighthouse. Visit the 2,289-acre Guajataca Forest early in the morning. This low-lying area, with its unusual soil, has different flora and fauna than some of the other forests you will find in Puerto Rico. You can walk along the interpretive trail or go to the Cave of the Wind or both. 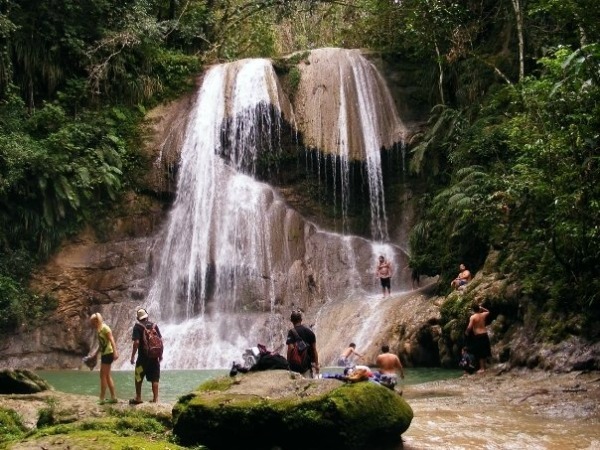 After your visit to the forest, take a dip in the Gozalandia Waterfall swimming hole. Then have lunch in San Sebastián (on Fridays there is a farmers’ market). And finally, spend a lazy afternoon at one of the great beaches in Isabela. The salt flats are part of a larger wildlife refuge set aside in Cabo Rojo in the southwest corner of Puerto Rico. There is an observation tower that overlooks the salt mining operation and an interpretative center for information about the area. The surrounding wildlife refuge — a Mecca for bird watching — has walking and bike trails that range in length from about 1 to 2 miles, and start right behind the interpretive center. After exploring the area, drive further south and spend lunchtime (you should bring along a picnic lunch) and the rest of the afternoon at La Playuela, a picture-perfect beach. Later, enjoy the sunset and gorgeous views from the Cabo Rojo lighthouse. And finally, have dinner on the way back home at one of the restaurants along Route 102. 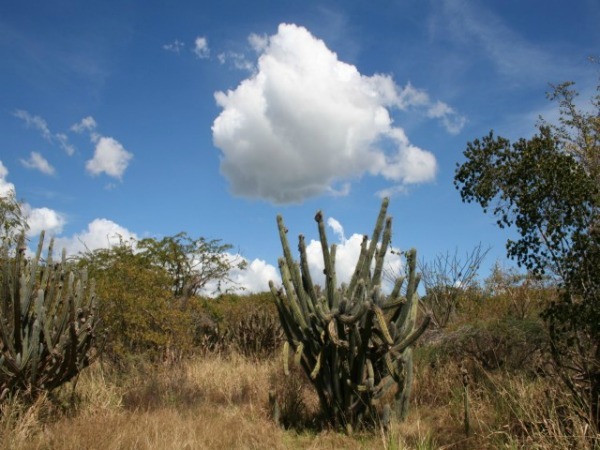 The Guánica Dry Forest encompasses almost 1,000 acres of dry forest (as opposed to rain forest). 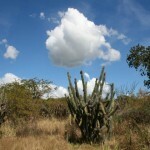 The forest is a safe home for many arid species, many of them endangered. Due to its ecological importance, it has been designated as an International Biosphere Reserve by the United Nations. The forest offers many well-maintained trails and is a bird-watcher’s paradise. 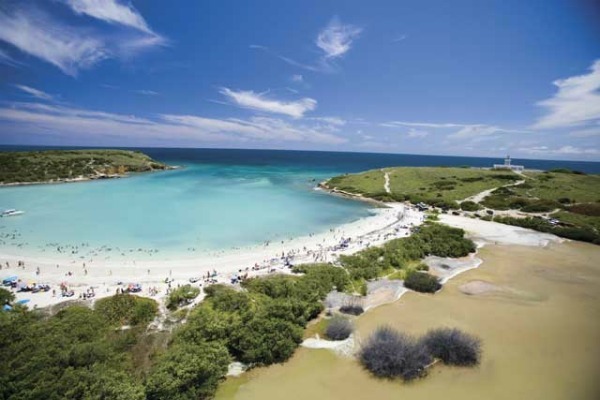 After exploring the forest, spend lunchtime (you should bring along a picnic lunch) and the rest of the afternoon at one or two of the Guánica area beaches. Later, have dinner in La Parguera. And finally, take a boat trip to the bioluminescent bay. The bioluminescence in the bay is most pronounced on moonless nights. 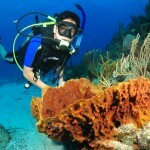 One of the most incredible experiences in Puerto Rico is scuba diving at The Wall in La Parguera. 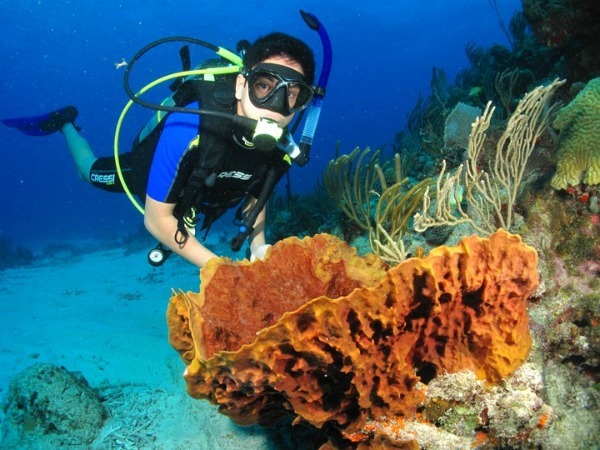 The Wall is home to trenches and elkhorn coral, gorgonians, black coral and many more. Thousands of rainbow-colored fish move over the reefs and through the spectacular azure blue waters. This underwater photographer’s heaven has visibility that can exceed 100 feet. (Be sure to make a reservation in advance with one of the scuba diving outfits — West Divers is recommended.) After spending the morning scuba diving, have lunch at one of the restaurants in La Parguera, and then drive to the Balneario Boquerón, one of Puerto Rico’s “Blue Flag” beaches, to bask lazily in the sun the rest of the afternoon. 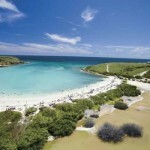 Finally, drive up Route 102 and have dinner at one of the restaurants along the shore with a view of the Caribbean Sea. 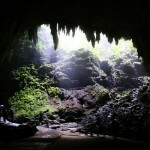 For information on more places to explore, visit PuertoRicoDayTrips.com.